Gift cards have been gaining in popularity as presents during the holiday season for years. In fact, according to the National Retail Federation, seventy-seven percent of holiday shoppers this season purchased at least one gift card to give as a present to their loved ones. My wife and I recently received a $50 gift card to Ruth Chris Steakhouse. It was a wonderful gift from a friend to a very nice restaurant. The steak I ordered was one of the best that I have ever eaten. And, thanks to the gift card, my wife and I decided to splurge. We ordered a bottle of wine to go with our steaks, and before we knew it, our bill arrived at the end of the meal for a whopping $150. So, in the end, my wife and I spent an additional $100 at a restaurant that we normally would have never eaten at. This is the downfall of gift cards. Gift cards are not the same as cash. In fact, people spend more when they have a gift card in their hands than they would have normally spent if they had the cash burning a hole in their pocket. Seventy-five percent of gift card shoppers spend 60% more than the value of the gift card according to recent surveys. Like credit cards, gift cards entice people to spend more money than they normally would. 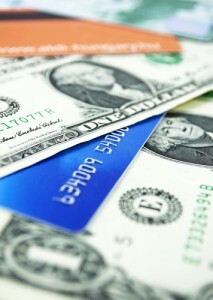 People spend 12% to 18% more when using credit cards than when using cash. McDonald’s found out this fact when they began accepting credit cards when the average transaction rose from $4.50 to $7.00. Would you rather have a gift card to your favorite restaurant or cash to spend any way that you see fit? Maybe you would use that cash to buy a meal or maybe you would not. But, you and only you would know exactly what would make you the happiest. Maybe buying a meal at your favorite restaurant would make you 90% happy, but spending cash at some other establishment may get you closer to 100% happiness level. Economists call this utility. What will bring you the most utility? It is not a gift card. It is cash that has no restrictions on its use. People also buy items that they would not normally use when they are purchasing them with a gift card. This is evident when a gift card is near the end of its balance. Who buys and leaves less than $1 on a gift card so they do not go over? No one does. In fact, many people spend more than their gift card’s original balance so they do not leave any amount left over at the end of the transaction. Despite gift cards’ popularity lately, there are some significant flaws in receiving them as presents. Gift cards provide givers with an easy way to give a gift without thinking much about what the receiver would really like to own, but these gift cards may not be best suited present for some people. Gift cards entice people to spend more than they normally would on items for themselves that they do not necessarily need or want. Great care can and should be given when giving a person a gift card as a present. I commented on this post and the last yesterday. For both of them I got a 500 internal server something error. Looks like the other comment posted, but this one didn’t. Weird.